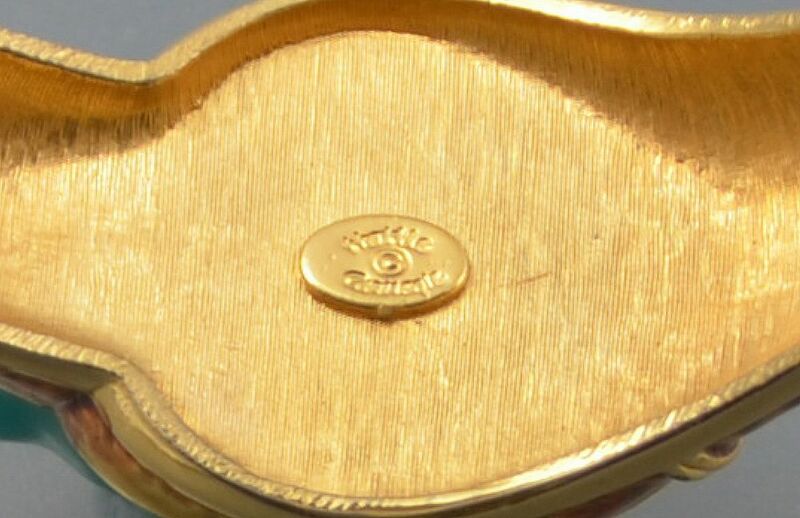 This wonderful gilt metal bangle is by Hattie Carnegie, the American costume jewellery designer and manufacture. 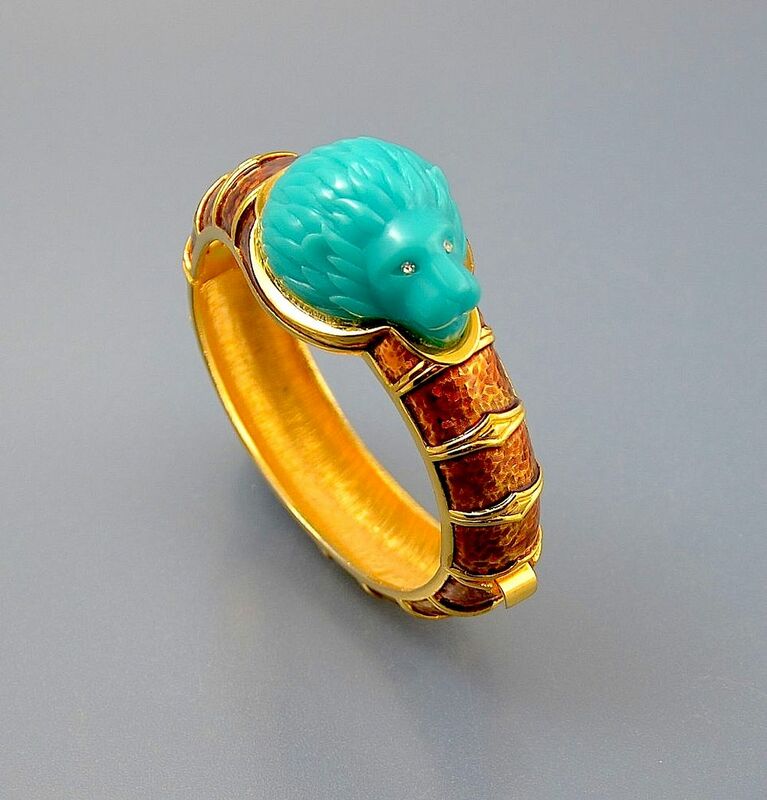 Made in the 1950s the gilt metal bangle has golden brown enamelled sections with a moulded turquoise resin lion's head in the centre.The lion's head has clear paste eyes. Jewellery by Hattie Carnegie is not readily available and this bangle would make a wonderful addition to any collection.